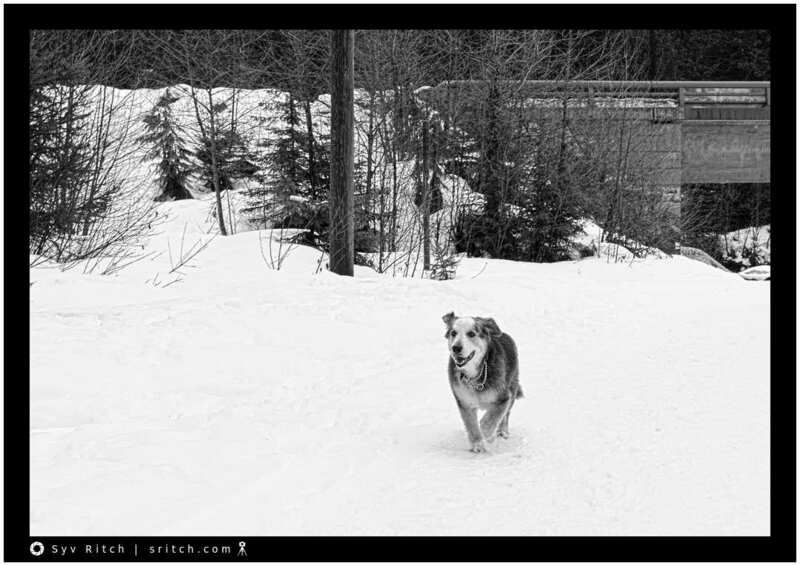 This is my dog, walking around, in the snow in Whistler, BC. His name is Dodoïte (pronounced: Dodo ïte). He’s a furry Basset Hound. He’s basically a Basset Hound with longer legs and in the forest, in the woods, in the mountains he becomes a “real dog”. Normally, in town (I live in Vancouver, BC), he’s afraid of everything. Every noise worries him. BTW, I’m his number 4, he went through 3 previous places until I got him.